For the month of August, Sutter Creek Gallery is offering a themed show entitled “Hot August Nights,” in which members of the cooperative will display their interpretations. A reception will be held on Saturday, August 1, from 4 to 7 p.m., as part of the area’s First Saturday Art Trek. Whatever the weather outside, it will be cool in the gallery. Come join us. Whether you’re eating hot dogs, slurping ice cream cones, or hanging out at the beach, August is the perfect time to kick back, stay cool, and watch the clouds roll by. It’s also a good time to stroll through Sutter Creek Gallery to see the unique pieces created by the member artists to celebrate this theme. A reception will be held on Saturday, August 1, from 4 to 7 p.m., in conjunction with the region’s First Saturday Art Trek. H. Wilkinson - "Stained Glass Car"
Anje Olmstead - "Tropical Heat"
Judy Day - "Relaxing in Costa Rica"
8th annual—and best ever!—Artist Open Studios Tour sponsored by the Amador County Artists Association (ACAA). If you have been on previous studio tours, you know how much fun it is to meet the artists and see their latest work and specials, and this year, with 41 artists at 18 locations, promises lots of fun and surprises. Hours will be from 10 a.m. to 4 p.m. each day, and the map and list of artists will be available at locations around the county and here beginning in August. Many artists are new to our tour, and even new to the area, so you might want to study the offerings to make sure you see your favorites. The Fine Art and More Raffle will be going on at the same time, with more art and more prizes than ever before. Each participating artist donates a piece of artwork for the raffle, additional artists and businesses from around the county have donated merchandise and gift certificates, so there is something for everyone. The ACAA uses proceeds from the raffle for our local art education projects, including 2 high school student scholarships, a student art show, and regular art demonstrations from professional artists. This year, for the first time, raffle tickets for some of the artwork will be available at selected locations prior to the tour, giving you more chances to see some of the art and to support our fundraising efforts. These locations will be listed on the website in September. Please calendar these dates and keep your eye here for new information. Hope to see you at some of our studios this year! At the ACAA meeting on July 8, artist Wendy Ward demonstrated a number of ways to transfer an image (such as a photograph) to a piece of art. Some techniques require first copying the image with a Xerox or laser printer, while others utilize an inkjet printer. 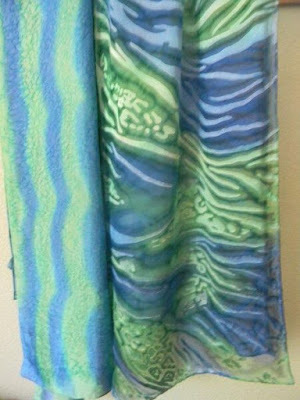 Most of the methods use acrylic soft gel to affect the transfer. Wendy provided handouts and led members through all of the listed methods. 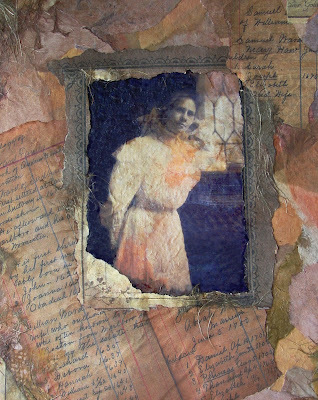 She provided examples of finished products, including images transferred to cloth, wood, and various types of paper. For the month of August, Sutter Creek Gallery is offering a themed show entitled “Hot August Nights,” in which members of the cooperative will display their interpretations. A reception will be held on Saturday, August 1, from 4 to 7 p.m., as part of the area’s First Saturday Art Trek.Whatever the weather outside, it will be cool in the gallery. Come join us! 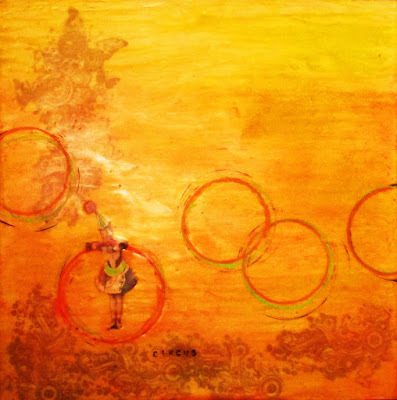 \Barbara is one of Gallery 10's consignment artists who paints in an abstract style. We are delighted to have her unique work in the gallery and look forward to seeing what she has to show for the month of July. 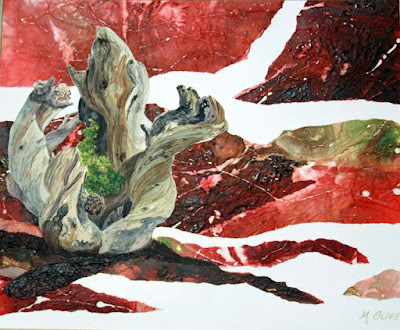 She has been in numerous shows and most recently in the juried show at the Arts Building sponsored by Placer Arts League in Auburn and the “Blooming Show” in the General Gomez Gallery in Auburn,. Tracy Lewis, known for her luminous and stylized watercolors is offering an inspiring 2-day workshop filled with painting demonstrations, watercolor and color theory exercises, individual painting instruction and critiques. 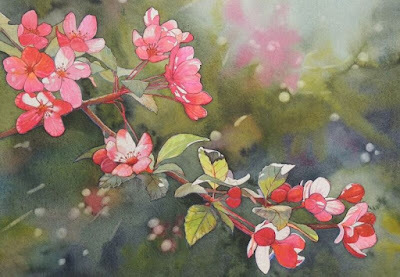 Tracy will share with you her techniques for clean and vibrant watercolors including washes, transitions, isolating whites, wet into wet, glazing and more. You’ll also learn how to use hue, value and intensity to bring mood and impact to your paintings. Whether you are new to watercolor or have been painting with mixed results, this class is for you! Beginners are welcome! 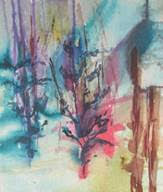 Tracy works primarily in transparent watercolor and is a purest in her approach to the medium. 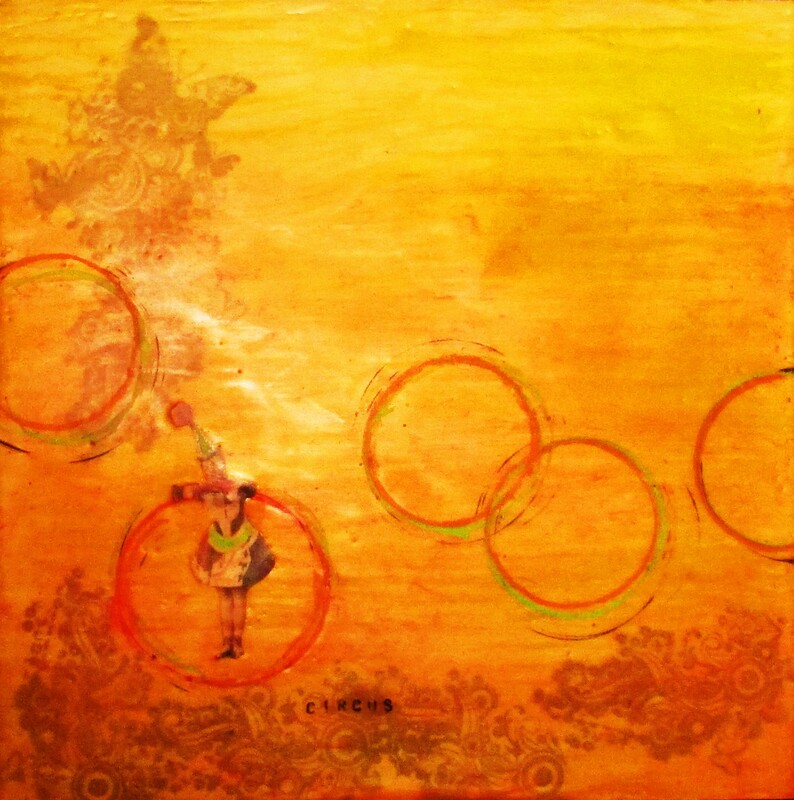 Layering luminous, transparent glazes of pure hue give her work a candy coat of Easter-like color. Her art is fairly realistic with a stylistic twist. 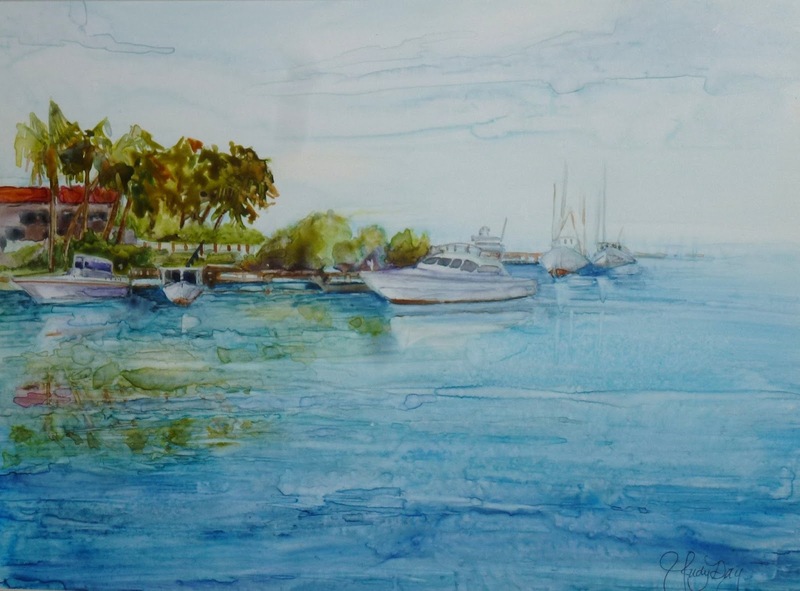 Tracy’s teachers have been watercolor geniuses, Gary Pruner and Jeannie Vodden, as evidenced in her strikingly fresh and fluid work. Art Nouveau, silent movies, flea markets, vintage clothing, Paris, swirly patterns, polka dot, symbolism, animal skulls, flowers, belly dancers, fairy tales and tattoos have all influenced her art. This workshop is offered indoors at Quarry Hill Studio in Petroglyphe Gallery. The studio holds the resonance of a diversely creative world offered by seasoned artists sharing their process with blossoming students. Petroglyphe offers fine art, jewelry, sculpture, pottery, art glass, cards, prints, Native American flutes and more. Signature gift wrapping is always free. 11:30 am – 5:30 pm & Sunday 11:30 – 4:00 pm. 39 local artists have signed up to be on the Open Studios Art Tour in Sept, the largest number we have ever had. This promises to be the best year ever! The new booklet style brochure and increased opportunities to purchase tickets for the Fine Arts Raffle and Moreare exciting changes that promise to bring in more visitors and more money for our programs and scholarship fund. The new brochure still has a few spaces for business card sized ads, so if you want to publicize your art or classes/workshops, call Karen now. The booklet will be useful for an entire year, so your presence as a local artist (even if you aren’t in the OS Tour) can still be seen though an ad. Please bring any ideas for improvements or questions to the Open Studios meeting to be held at 6 pm on Wed, July 8 at the Senior Center (just before the regular ACAA meeting). Topics include new publicity ideas, new fine art raffle ideas, new signs, and other topics. All are welcome, new ideas are especially appreciated. For more information about the Open Studios Tour, please call Karen Crane, Open Studios Chair at 223-1720 or emailkcsoul53@yahoo.com. 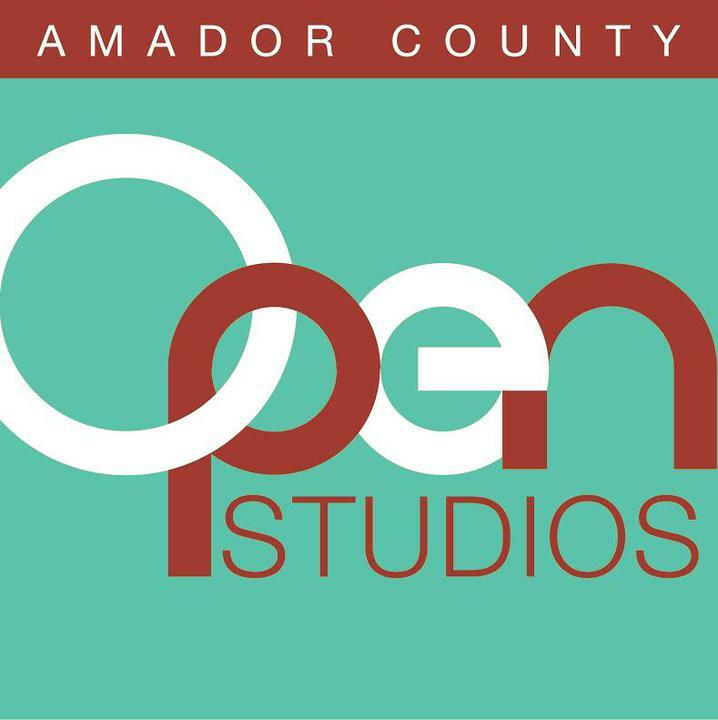 Also, please check out the Amador Artists Open Studio group on Facebook for up to date information. Be captivated by the plein air oil paintings of Annie Fountain, featured in AmadorArts Gallery during the month of July. Jewelry artist Karen Crane will also be featured. 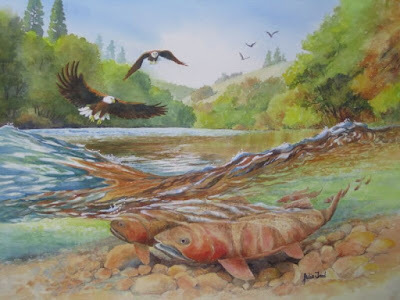 Starting the Fourth of July, the same date as the 1st Saturday Art Trek, AmadorArts Gallery at 11-A Randolph St. one block off Main Street in Sutter Creek, will open its July exhibit featuring oil painter Annie Fountain. Amid your festivities planned, go to the open-to-the-public reception for artist Fountain on July 4th from 3 to 6 pm inside the gallery. Annie Fountain is a plein air painter which means she’s dedicated to capturing the essence of the great outdoors by painting on location, outside. She can be found regularly along old roads, ranches, lakes and rivers in the Sierra mountains and foothills. Fountain says she loves dramatic light, and her ability to capture a time and space through color contrast gives her work a vibrant quality. She adds that it's not always an easy task, but the effort is an "exciting challenge that is satisfying and worthwhile". 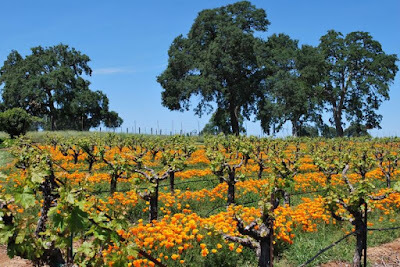 While she earned a BS in Biology at San Francisco State University, she also took art classes, always admiring the work of the California impressionist painters. She took additional classes at Fort Mason Center and with several recognized Plein Air instructors fine tuning her own style to reflect the beauty of the land that she loves. Also in the July show will be permanent AmadorArts Gallery contributor Karen Crane of Jackson. She will have a collection of her unique jewelry pieces including smaller earrings and pendants, as well as simple bracelets, selected especially for all-occasion gift giving. AmadorArts Gallery is open Saturdays and Sundays from 12 to 4 pm (until 6 pm on 1stSaturdays). During the week it’s best to call ahead (209) 267-9038. For more information visit www.amadorarts.org. This is where you can see the Amador Art Trek brochure and map. The August ACAA meeting will be a Potluck at the Castle Park Clubhouse in Ione. It will be held on our usual meeting night, August 12. This will be our third potluck in Ione. 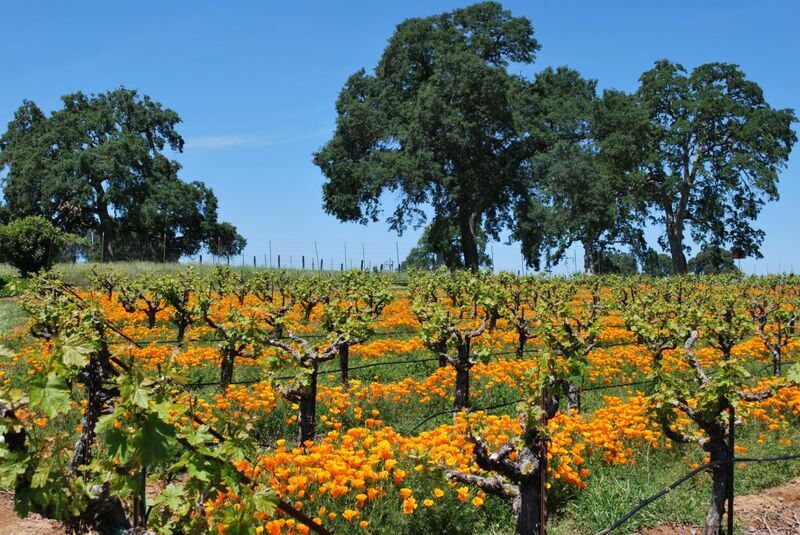 The address is 1400 W. Marlette St, Ione, CA. Bring a dish of your choice and place settings for you and your guest. Join in the fun. BYOB, the hostesses Em Rojas and Donna Plant will supply coffee and punch. Social hour is at 5:00 PM and Dinner is at 6:00. 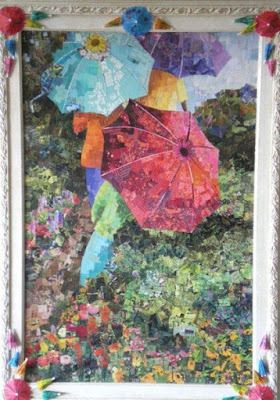 I love SoulCollage® because it is such a simple process that anyone can do, yet it offers an elegant way to access the rich complexity of our true Self and Wisdom. 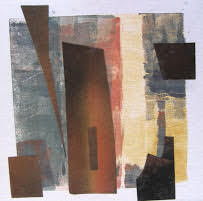 Lynn Slade has about 40 sheets of Fabriano 140 lb. cold press watercolor paper that was delivered by mistake and she can't use. If you need some watercolor paper it is $45 for 10 sheets or $5 per sheet. Just give Lynn a call at209-295-4667. Sheri Hoeger, who demonstrated for the ACAA earlier this year, held a class at Wendy Ward’s studio in Pioneer. Many of the participants are members of ACAA. Participants provided a photo of a pet, or other animal, and she cropped and reproduced them so that we could paint a portrait using fluid acrylics thinned with airbrush medium. This is the technique she use for her earlier demo at one of the ACAA meetings.. The gallery invites you to meet Scott Anderson at the reception in his honor on Saturday, July 4, from 4 to 7 p.m., as part of the region's First Saturday Art Trek. He is one of the local artists exhibiting at the cooperative located in the heart of Sutter Creek at 35 Main Street. 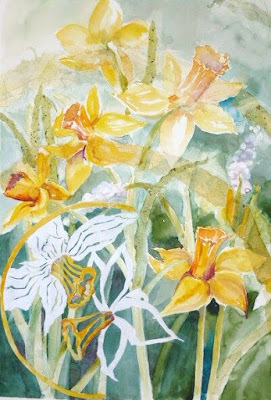 Besides original paintings, Sutter Creek Gallery offers many affordable items including prints, cards, jewelry, gourds and fiber arts. The gallery is open Sunday, Monday, Wednesday and Thursday from 10 a.m. to 5 p.m. and on Friday and Saturday from 10 a.m. to 6 p.m. For more information, call (209) 267-0228, emailsuttercreekgallery@gmail.com or visitwww.suttercreekgallery.com.